Actor Kwon Yool has friendship with Ha Jung-woo. 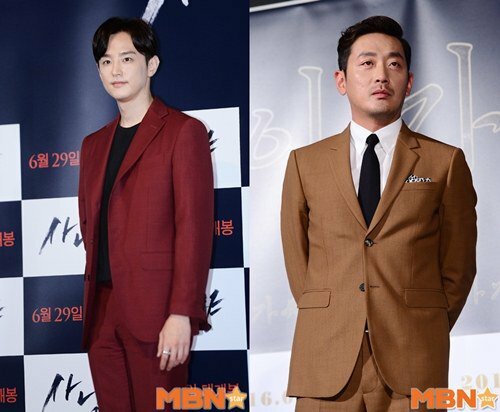 At the premiere of the movie "The Hunt" on the 23rd, Kwon Yool said, "I was roommates with Ha Jung-woo when I first started at Chung-Ang University". "We lived together for a year. He understood my gag code and gave me lessons. There were always a lot of people at Ha Jung-woo's shows". Meanwhile, "The Hunt" is the story of hunters who go up a mountain they shouldn't have and see something they shouldn't have seen. The movie comes out on the 29th. "Kwon Yool, "I was tutored by Ha Jung-woo""
Lee Dong-gun and Jo Yoon-hee to star in "Suited Gentlemen In Yanggye-dong"